In an effort to maintain our spiritual connections with all of our planets habitants, this retreat offers an opportunity to explore, conserve, and play. In celebration of Thanksgiving, we will enjoy a week of abundance by sharing this magnificent space to heal ourselves and our planet. 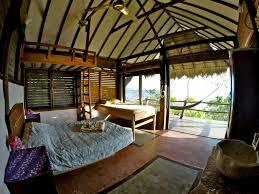 This retreat center is nestled in the jungle on Playa Escameca Grande near San Juan del Sur. Where natural living meets rustic luxury, providing true relaxation and tranquility. Organically grown foods are provided for the delicious community meals served daily. Enjoy ocean views while relaxing in a hammock or sofa from your front porch. Open air design in all of our unique rooms keeps you cool while connecting you with nature. The Casa Ola lounge provides a big common area to meet fellow travellers and is a great place to have a cold beverage and watch the sun go down over the surf. Yoga on the beach view platform will be offered daily as well as other popular attractions including, surfing (instruction available), massages, fishing, waterfalls, horseback rides, paddle boarding, hiking, boating, and on-site sea turtle nursery. Additional activities: horseback riding, surf lessons, fishing, boating etc. No time like the present….start planning your own retreat today!